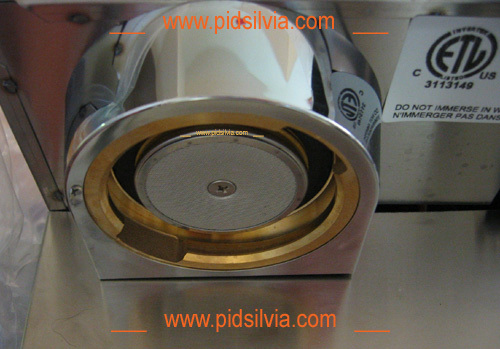 Flat shower screen for Rancilio Silvia espresso machine. Silvia is shipped with a large hex bolt that projects below the screen because it is more durable in heavy use and the same bolt is used in the Rancilio commercial machines. Some commercial machines could be more forgiving for the bolt (because of pre-infusion and water flow control, but mainly because of less or no temping and deeper basket). 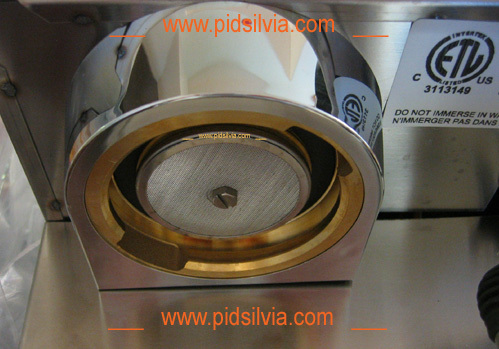 Silvia simply carries through this same Grouphead screen part that is used in the commercial machines. 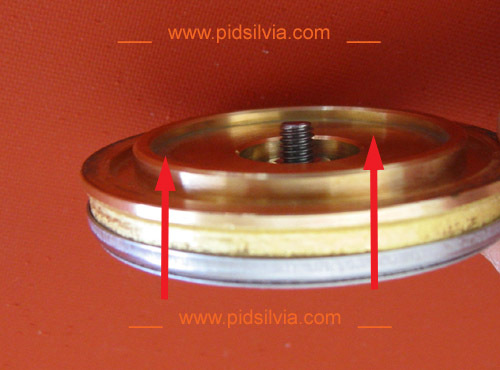 In Italy, where hard firm tamping is generally not used, the bolt doesn't destroy the integrity of the puck because the untamped coffee is more forgiving than the tamped firm puck. When using the hard firm tamp method, it is important to have matching surface to receive the coffee puck. Denser coffee puck should have better matching screen to the puck. 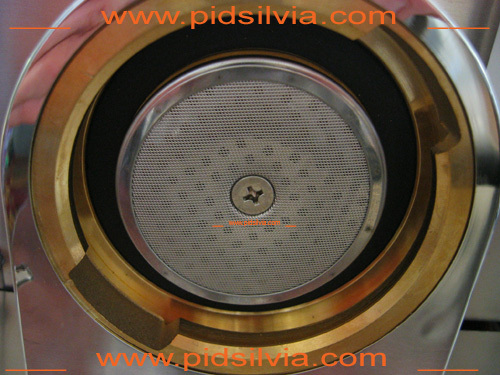 The flat screen removes the sure penetration of the hard coffee puck and the integrity of the puck is preserved. 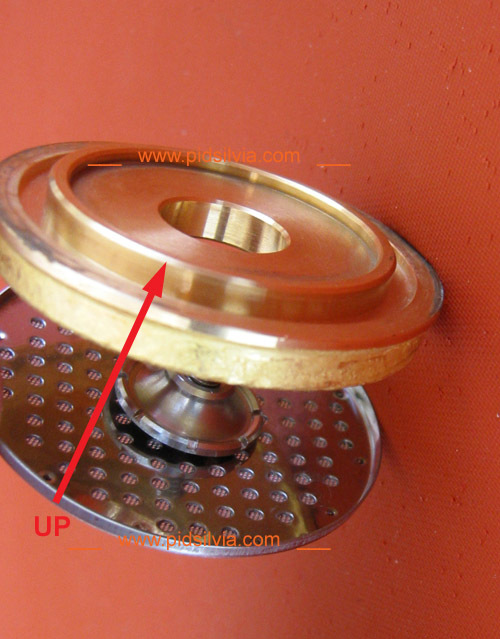 (It is correct that the water, heat and pressure will fix some of the broken puck). You can clean the screen and save water by just wiping the flat screen with clean paper towel and flushing a small amount of water through the machine. Saving water will increase the number of cups you can brew on a single water tank. Just a better looking screen for your beautiful Miss Silvia. Note: To prevent any chance of screw lock, I am using a high-grade stainless steel screw. 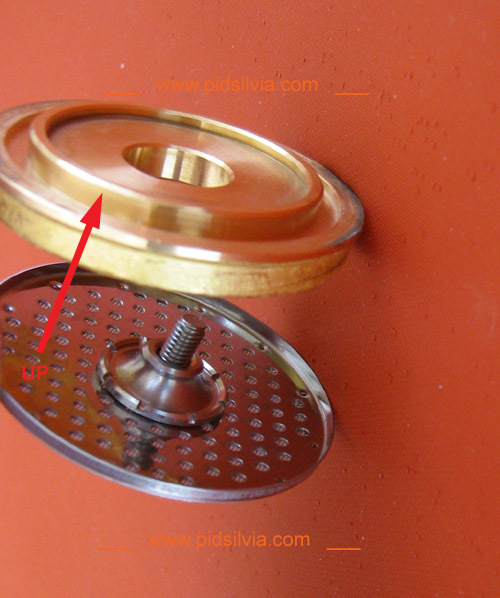 You will have to use a good short Phillips screwdriver and clean the screw head before opening. Do not try using a long screwdriver. Do not over tighten the screen, and clean your machine regularly. Here are some pictures to eliminate the confusion when reinstalling. New Silvia. V3 model. See the out frame horseshoe cover of the group. 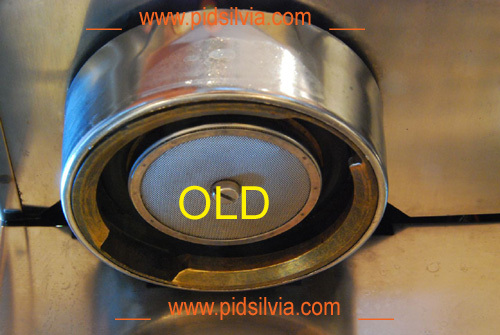 Old Silvia. V1 model. 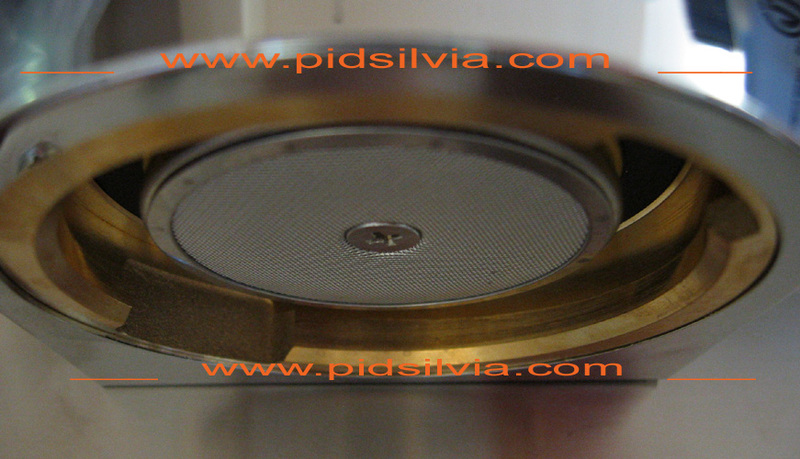 See the out frame round cover of the group. In this Clip you can see how the extraction becomes lighter and lighter, meaning more and more unwanted taste.